I made this for my middle boy. 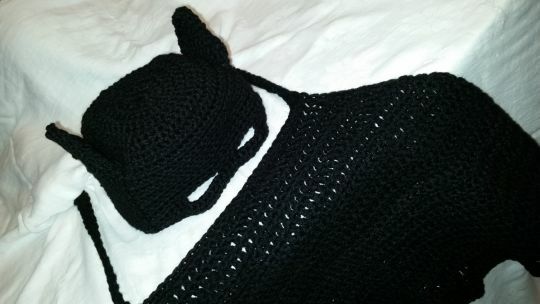 He wanted to be batman for his birthday so I found the pattern for the hat and created the cape without a pattern. I also made him a batman duct tape bow tie for him to wear to school since his school did not allow the kids to actually celebrate there birthday or any other holiday for that matter but he loved that he got to dress up and stand out a little.